Espresso cups in porcelain non-transparency. Handmade espresso cups in porcelain, wheel thrown. The cups are glazed on the inside, unglazed and opaque on the outside. Handmade using the rice grain technique. 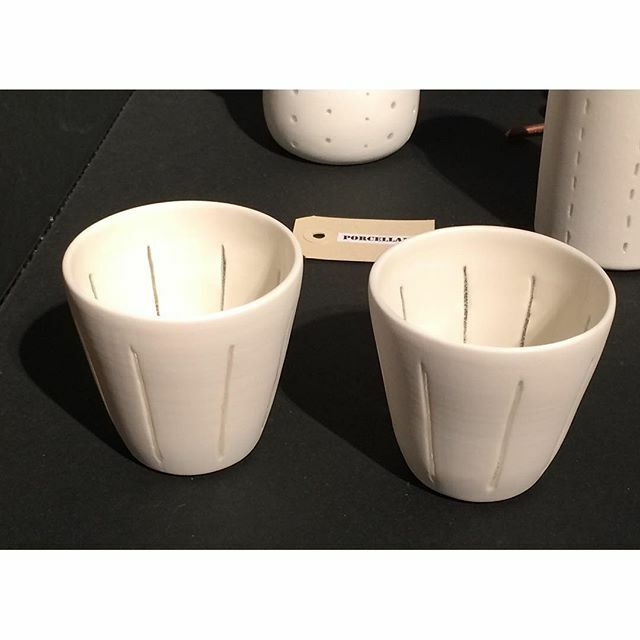 This entry was posted by Jacqueline Harberink in Instagram and tagged coffee, cups, dutch design, espresso, porcelain, rice-grain, thrown.